Big kudos to @photon for speed improvements, especially for nvidia cards. Remote Dashboard options in config. 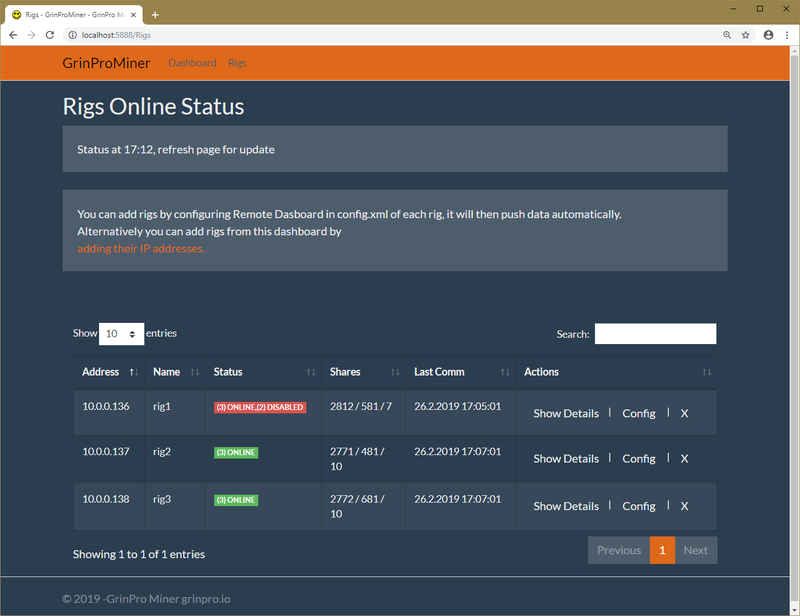 Remote Dasbhoard will be released soon and this version of GrinPro.io miner is compatible with it. Any info on graph rate of different GPUs? GrinPro web monitoring and management. Contribute to mozkomor/GrinPro-Dashboard development by creating an account on GitHub.